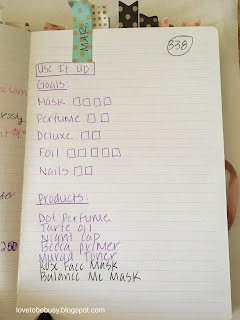 Running a few days behind with my update but here are my goals for March for Project Use It Up. I have been working on some of these products for quite awhile and I am happy to see some being close to finished! This how I did with my February goals. I did not do as well with masks this month. I usually try to do them on Sundays because I usually forget during the week. However, the mini had gymnastics competitions on Sunday nights and we weren't home for me to do the mask. And then I forgot as the week got going. 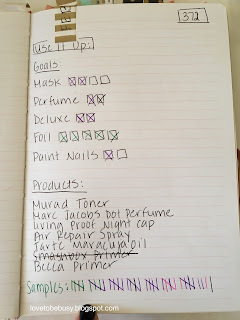 I did pretty well with my other goals and even painted my nails once:) I was also able to use up quite a few samples during #foilfebruary. Here are my March goals. The amounts for each category are staying the same. I have kept a few of the products which I will show in a moment. 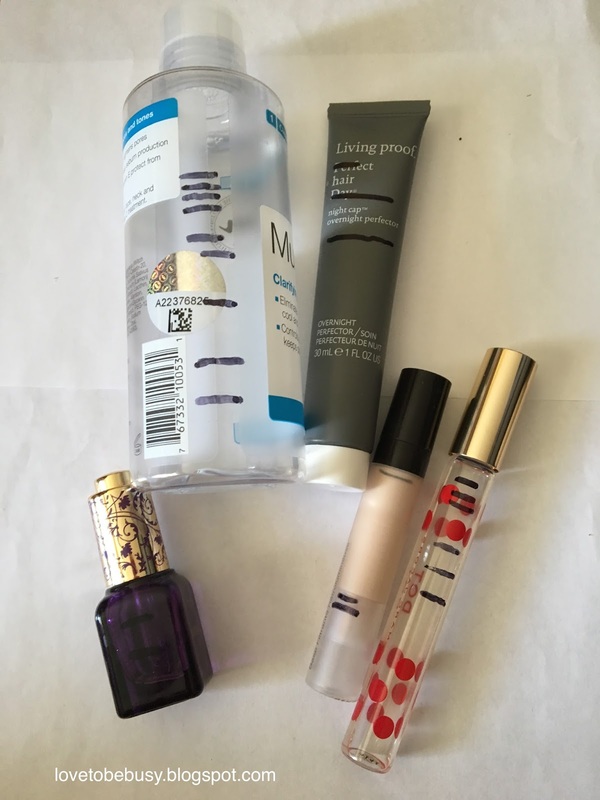 I took out the Smashbox primer because it is finished (Yay!). I am almost done with the Air Repair spray (maybe one or two uses) so I took that out also. These are the products I am carrying over from February. The Tarte oil is at least half finished since I know the lines are hard to see. The Living Proof product is hard to see through so my progress lines are total guesses. 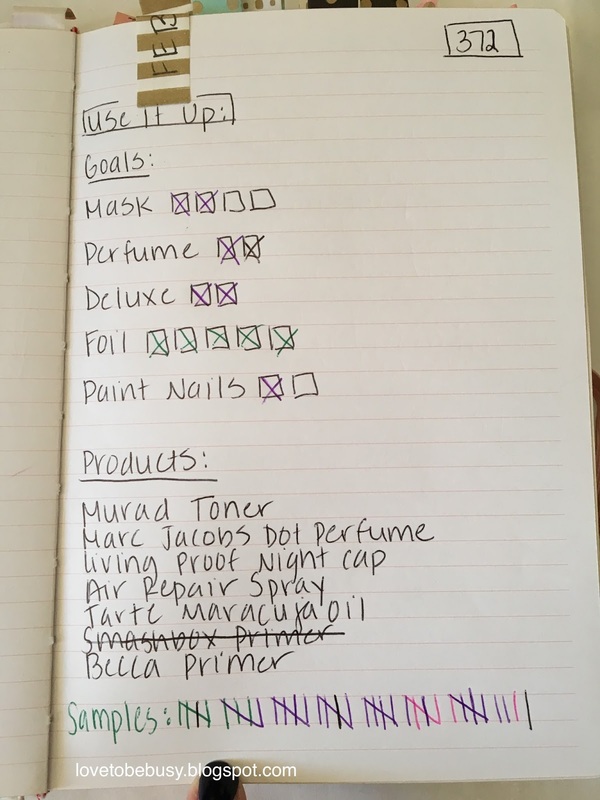 Progress on the Marc Jacobs perfume has been pretty consistent with about 2 weeks of use for the month (I am using 2 perfume samples a month and those usually take about a week). 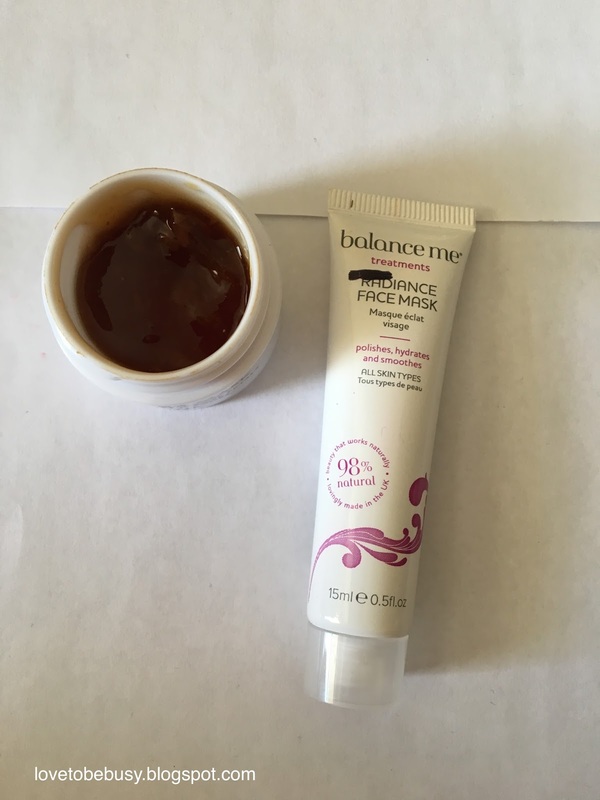 I put the Becca primer in for February but I decided to use up my primer foil samples instead so I only used it a few times at the end of the month after my samples were gone. These are the two products I am adding for March. One is the Fresh Rose Mask that was the Sephora birthday gift last year. I have used it a few times so it has been open for awhile and I need to finish it. The Radiance face mask is also one of my oldest masks and is an exfoliator so I am going to try to use one on the weekend and the other during the week. Since taking these pictures, I have also decided to try to finish my Tarte lipstick in Plummy Rose. I started it in a project last fall and I think I could finish it this month. I am really liking this type of project to keep me on track with products that I need to use up. I don't usually put too much makeup in because I tend to switch that up or have it as part of seasonal challenges. But this is a good way to keep my skincare and body care projects on track. *All products were purchased by me. I was not compensated in any way for this post. All opinions are my own. I am a wife, mother, and teacher. I don't sit still well so I am constantly trying new projects, recipes, books, and anything else. I am also addicted to makeup and beauty products. All of these help make up my life and my little blog. Thanks for visiting!